Researchers, practitioners, faculty members and students analyze what, why and how we eat, propelling GW to the forefront of food studies. GW's "food leaders:” CCAS paleoanthroplogist Alison Brooks, Milken Institute SPH Professor Lance Price, Chef José Andrés, Executive Director of the Sustainability Collaborative Kathleen Merrigan, and Urban Food Task Force Chair Diane Knapp . How many vegetables should you have on your plate? What makes a fruit “good” or “bad”? Is cutting carbs nutritious? A roster of international food experts will convene at the George Washington University on Friday to answer those questions and others. The symposium will identify current scientific findings and future research questions to inform the U.S. Department of Agriculture’s (USDA) development of the 2015 Dietary Guidelines for Americans—the cornerstone of federal nutrition policy. The event is emblematic of the university’s expanding role as a major player in the food world, according to GW Executive Director of the Sustainability Collaborative Kathleen Merrigan. 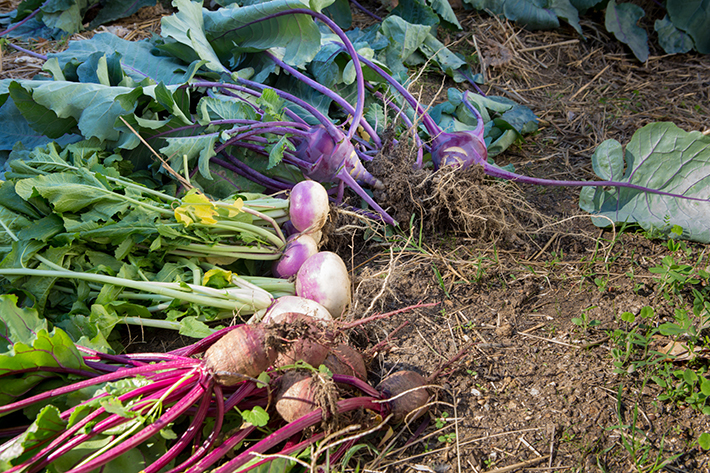 From research into early human diets, antibiotics in food animals and school nutrition to courses taught by renowned chef José Andrés, a growing student-led food justice movement and the Urban Food Task Force’s (UFTF) nutrition and food policy programming—GW finds itself among top-tier institutions focusing on food studies. But how, exactly, did the “food revolution” begin at GW? According to UFTF co-chair Dawnita Altieri, the catalyst was a food policy salon with Mr. Andrés hosted by George Washington President Steven Knapp and UFTF chair Diane Knapp in 2009. Students, faculty and staff pick up fresh herbs and produce grown by the Division of Operations. In March 2010, following a positive response to brown bag lunch discussions among faculty and the administration, the UFTF was born, leading the way in the university’s food efforts. The task force kicked off with the “Big Night, Big Jobs” flagship event, a panel discussion that brought together Mr. Andrés and high-profile chefs Spike Mendelsohn, Nora Poullion and Todd Gray to discuss food sourcing, healthy eating and satisfying customers. Mr. Andrés returned in 2011 to teach the “World on a Plate” class, and the UFTF expanded, hosting the “State of the Plate” in 2011, the Food and Nutrition Expo in 2013 and the annual Food Day celebration. Though undergraduate and graduate students have been formally engaged in food issues through research and the Food Justice Alliance and the campus GroW Garden since 2009, the 2013-14 academic year brought new opportunities, including the University Writing Program’s food-focused First Chapter keynote address with the author of the “Good Food Revolution” and Planet Forward’s partnership with National Geographic that will give selected students an opportunity to contribute to “The Plate” blog. Alison Brooks—a paleoanthropologist and Paleolithic archaeologist in the Columbian College of Arts and Sciences who has been studying the evolution of the human diet since the 1970s—said that watching the university come alive with an interest in food has been gratifying. Dr. Brooks was inspired to promote food research after hearing a speaker at a university event in 2011 discuss the “raw food diet,” which advises eating only uncooked foods in their most natural state. The GroW Garden was founded in 2009 by the Food Justice Alliance. The project is indicative of the commitment of students in providing access to healthy food. While Dr. Brooks has focused her research on the diet of early humans—studying hunter-gatherers of the Kalahari in Botswana and plant residues on fossil teeth with students—Ivy Ken, CCAS associate professor of sociology, has approached food as a social issue. She analyzes the modern food system, specifically corporate influence on school food policy. Dr. Ken led the University Seminar on Food during the 2011-12 school year. The series of six events covered issues unique to the modern food system such as the development of baby food as its own food category. She said that the interdisciplinary nature of food studies makes GW the perfect home for food researchers. “It has been wonderful to see GW build an infrastructure to support the spirit of food studies here at the university," Dr. Ken said. In late October 2014, Lance Price, a Milken Institute School of Public Health professor who joined the university in 2012, hopped on his bike and rode to the USDA where he presented research to policymakers on food safety issues around antibiotic resistance in animals raised for food. 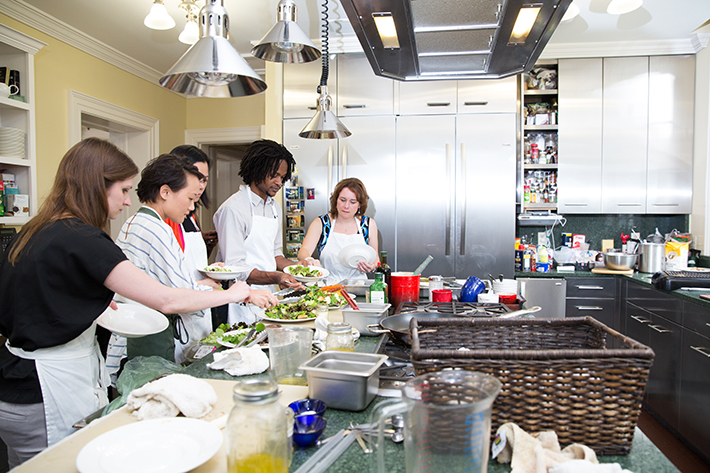 University Chef Rob Donis hosts cooking classes at the F Street House that aim to teach students, faculty and staff simple nuturitious recipes and practical cooking methods. He recently partnered with Milken Institute SPH Assistant Professor Jay Graham to study how small scale food production can affect health in the developing world. He said that he hopes to forge more opportunities for collaboration. Dr. Merrigan agreed, adding that the student body’s interest in food issues will also push GW to expand academic, research and experiential learning opportunities. “There is a renaissance of interest in food and sustainability across the country and GW will be at the forefront,” Dr. Merrigan said. “We have so many researchers pursuing this topic from economists to water policy experts and nutritionists.